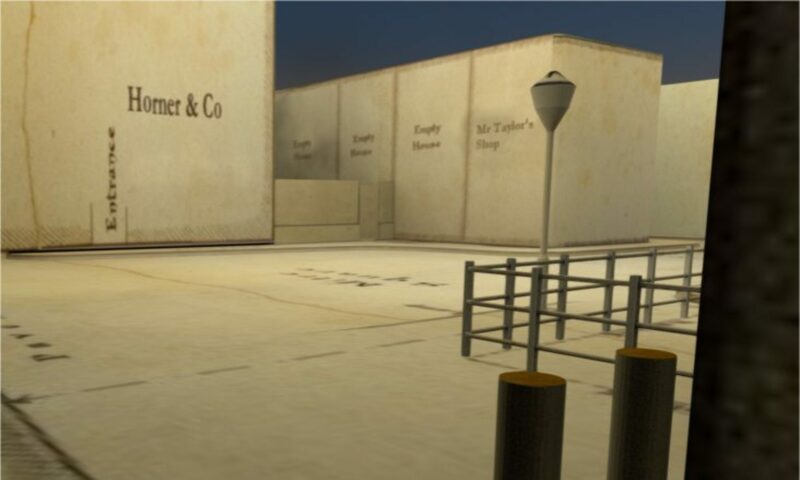 Here are some mock-ups of the Berner Street 3D model I’m working on at the moment. The intention once it’s finished is to create a video walk-thru sort of like someone holding a cine camera and walking from the corner of Berner Street (the cartwheel photo) right into Dutfield’s Yard. 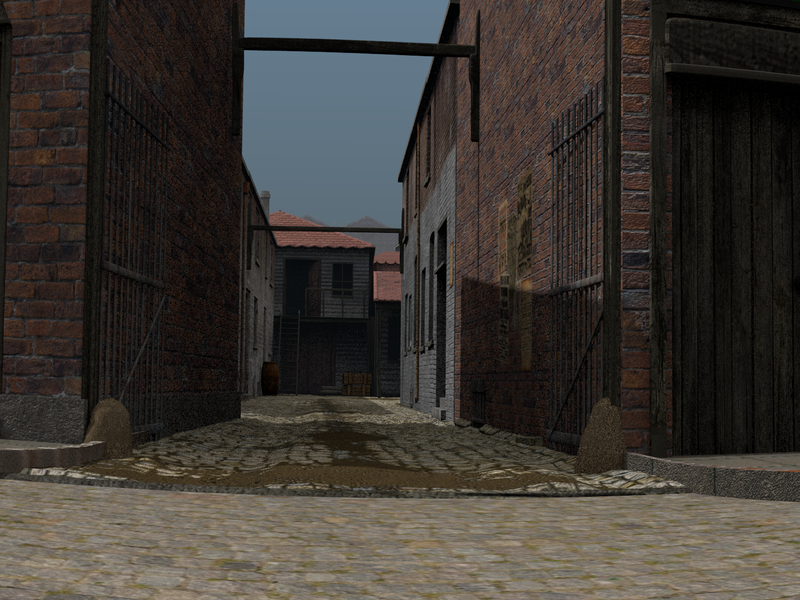 The silent ‘cine film’ will explore the yard as if the camera holder is walking around the scene (hopefully). For now here is a mock-up shot. It shows the interior of Dutfield’s Yard from the exact camera angle as the newly discovered Phil Hutchingson Dutfield’s Yard Photo which I can’t show as a comparison as it is under copyright. I wanted to attempt to discover the time of day that MJK1 (the external of Miller’s Court) was photographed. In the original photograph there is evidence of sunlight and shadows cast across various parts of the scene. We know (or at least we think we know) the date that MJK1 was taken – 9th November 1888. It was taken at some point during the day that Mary Kelly’s body was discovered in her room at number 13 Miller’s Court.